Doilies may be generally thought of as a lacey item used in home decor, but they function just as well as a lovely touch for our scrapbooking creations. 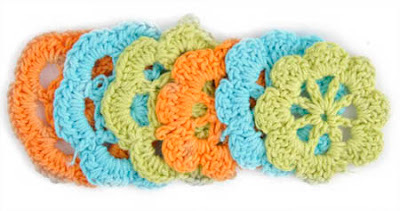 Doilies don't always have to be round either! 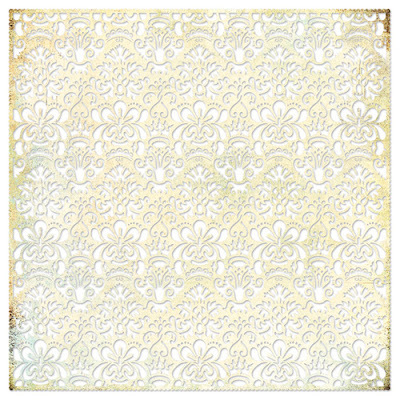 This doily-like pattern would be a beautiful way to dress up a plain cardstock background. 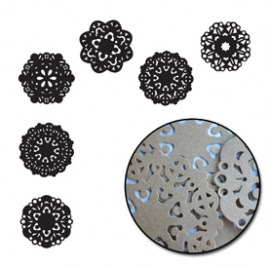 These mini-doilies can serve as cute little flowers. A decorative brad can dress them up even further and also serve the function of connecting them to the page. Take these kraft cardstock doiles and customize them with color however you please...or leave them plain for understated elegance. This is another great product that gives doilies extra mileage. Stamp embellishments, backgrounds and more in any color you choose. 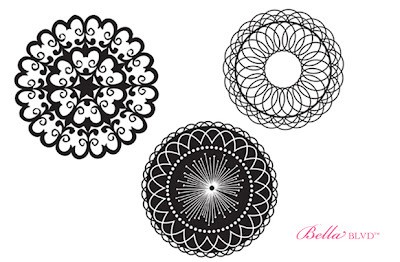 These embroidered doilies look so elegant and delicate. I love the muted colors, too! 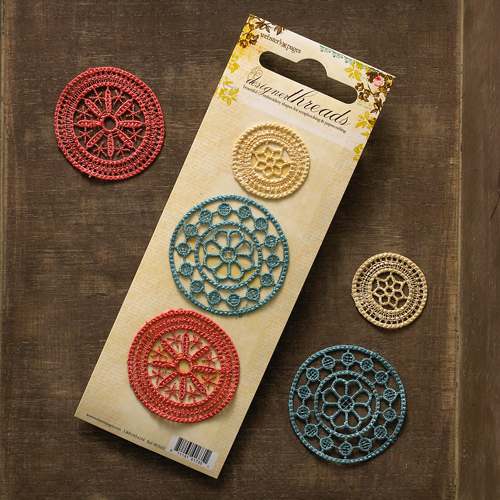 What other scrapbooking products have you seen lately featuring the doily motif that have fallen in love with?